View More In Fan Motors. Genuine Broan S97012038 Motor and blower wheel assembly. 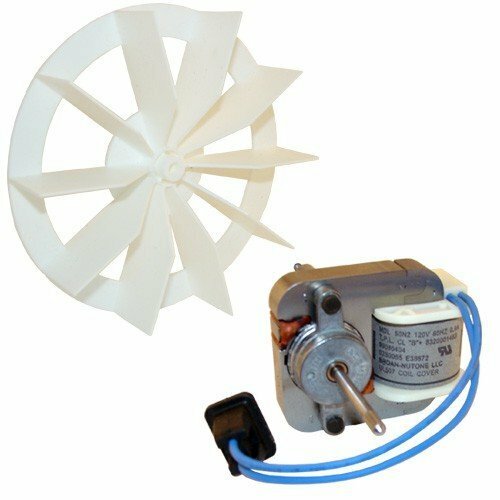 This motor has an original part number of S99080216 and works with the following Broan ventilation fan models: 659, 662, 663A, 663B, 663C, 663D, 663D, 663E, 668, 688, 678, 678B, 688, 688A, 688B, 688C, 688D, 688E. This motor is the exact replacement for the following motor numbers: 15617, 162502, 02S0055, 0340775B, 101-1770, 14266A, 15194A, 301-3001, 5KSB33BG1858, C202A, CC0053, CC0154, P-10294, P-14266A, P14266A, P-15194, P-15617, P-608-31-1, P-9983, S10625002, S10625236, S10625237, S20625002. If you have any questions about this product by Q2U LLC, formerly Davelle, contact us by completing and submitting the form below. If you are looking for a specif part number, please include it with your message.